An exceptionally tasty of cheese pretzel snack with original Snyder's of Hanover pretzel pieces and hearty cheddar cheese flavour. WHEAT flour, palm oil, WHEY powder, cheddar cheese, salt,Maltodextrin, butterMILK powder yeast, onion powder, stabilizer:E339, sodium caseinate, tomato powder, acidity regulator: E330, spices,MILK POWDER, sugar, flavors, yeast extract, garlic powder,Colorant: E100, E160b, E160c, flavor enhancer: E631, E627;Leavening agent: E500. CONTAINS WHEAT. Produced in a facility that handles PEANUTS. Crunchy Snyder´s of Hanover Pretzel pieces, refined with the delicious taste of cheddar cheese, a never dargewesenes snack experience for all those who hold pretzels already for the absolute taste hype, but the combination with tasty definitely Cheddar would activities Cheese! Crunchy pretzel pieces, with the typical liquor finish, the perfect appetizer are in between, or the classic snack for the evening beer or wine more than suitable. Whenever you have a desire for this liquors and cheese pastries, it pleases your jaw muscles with unusually crisp, spicy and bite-sized pieces and an understated but quality cheese flavour. If there is to be something savory nibbles, crispy cheese biscuits is quite high in demand. If you are a fan of spicy snacks, forget immediately everything you've ever tasted it. Our Snyder´s of Hanover Prezel ringing in a new era of cheese pastry. Bite sized pretzel pieces, refined refined with high-quality Cheddar Cheese just the right snack for all those who are so far should taste cheese biscuits to artificially and Intesiv. This pretzel pieces you'll love, precisely because of their discreet but spicy and absolutely natural flavour. So check it - you'll be convinced! 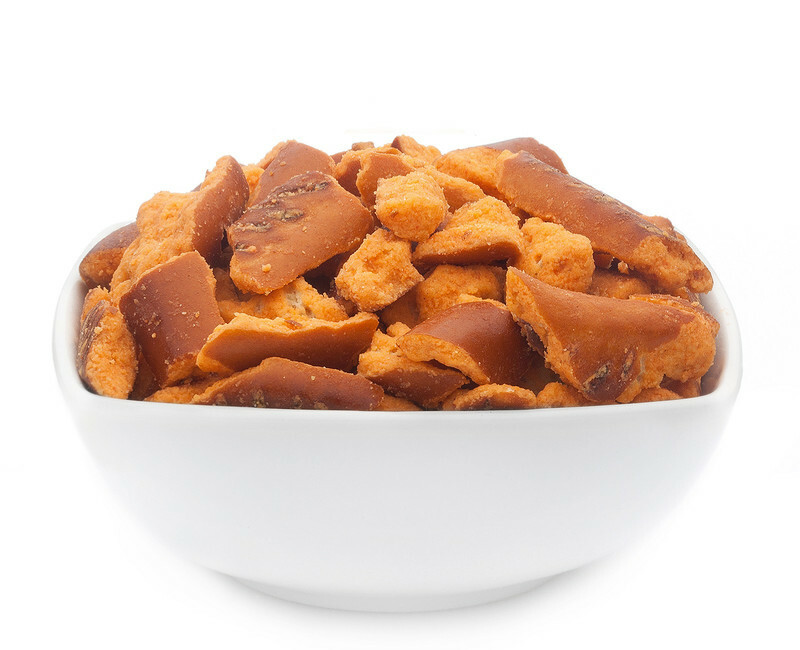 Crunchy Snyder Pretzel pieces with delicious flavours of Cheddar Cheese. They are so delicious that tasty pretzels pieces of SNYDERS OF HANOVER with her Cheddar Cheese flavour that you can not stop it can to put you in the mouth and gleefully around to chew it, and the aromatic, spicy and so not at all intrusive flavour soak into you. The tongue circling repeatedly gambled on the shiny smooth surface until the teeth were cut off the last remnants. Even after a good wine or beer, soda or mineral water in between, the delicious taste of very fine and absolutely natural Cheddar Cheese flavours the taste buds remains pleasantly remembered. This trend of a cheese pastry You are always a good choice and choose guarantees the most perfect of perfect cheese snacks at all.